James Lawson was born in Whitely County, Kentucky, on Aug. 28, 1828. He attended schools in Kentucky and grew up on a farm in that state. He married America Calavan in Kentucky in 1849, and they moved to Missouri in 1853, where they raised two children. The family decided to come west to Oregon by ox team in 1863. After crossing the Plains in what they recalled as an "ordinary" trip, they settled in Linn County, where they purchased land and engaged in farming. The family moved to Southern Oregon for a couple of years, then returned to Linn County. In 1870, they heard of opportunities in the country of Central Oregon as several of their neighbors had come to the area to settle. 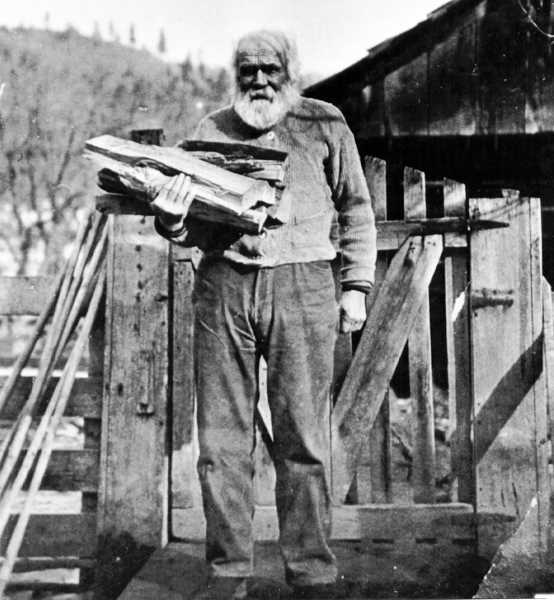 James sought out a location to settle near the confluence of Mill Creek and Ochoco Creek, and he purchased some agricultural land in the area. The family was among the earliest settlers in Central Oregon. Lawson Creek, which is a tributary to Ochoco Creek and located near the upper end of Ochoco Reservoir, is named for the Lawson family. America Lawson died in 1901, and James remained on his pioneer homestead until his death on Oct. 31, 1913. A large crowd of local residents attended his funeral at the Mill Creek schoolhouse. He and America are buried in the Mill Creek Cemetery.